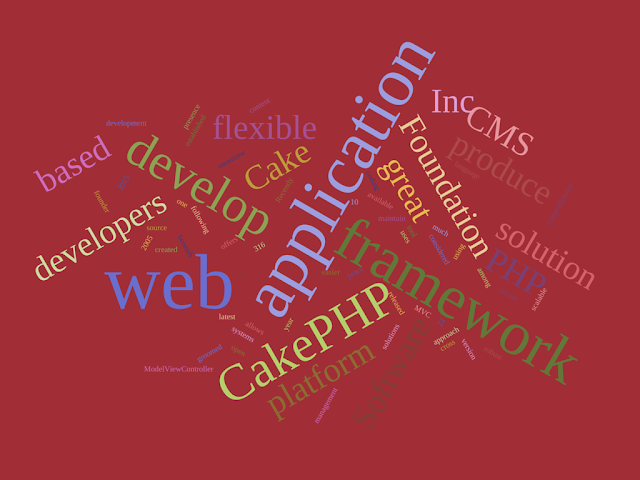 CakePHP Based CMS - Easier Scalable & Flexible In All Terms! CakePHP web application framework considered as a great tool to develop a cross platform web application, following the MVC (Model-View-Controller) approach. Cake Software Foundation Inc. created it in the year 2005 to produce an easier solution for the CMS development. This open source web application framework uses PHP as a coding language and offers a flexible and comprehensive platform to develop, maintain and produce PHP based solutions. Croogo comes up with great inbuilt options such as WYSIWYG Editor, comment SPAM filters, own content type creator, Taxonomy and so on. This CakePHP powered CMS oblige users with open-source, robust and built-in Twitter Bootstrap options. As the name itself makes it recognizable by users, Simpleflan CMS is flexible and simplest content management system that built using CakePHP. This CMS is generally used by the designers who want to showcase their portfolio with an ease of managing feature. Via this open source CMS, users can design their own portfolio with an easy UI, inbuilt themes, plugins, resize and zoom options, etc. Frequent and flexible CMS solution that comes with the Modularized CMS option to develop solutions from small to large scale. Oven CMS oblige developers with inbuilt modules (plugins) that can inherit different features into a single solution either a website or application. Another open source CakePHP powered content management system, that make designers more comfortable with the development of small websites or applications. Lumad CMS offers quick and user friendly interface to manage different tasks or activities in small websites. With initial properties of lightweight and design-oriented user interface, Cupcake CMS oblige web developers with the ease, simple interface and WYSIWYG editor. This open-source content management system is also built using “CakePHP web application framework” and inherit the fundamental features like – flexibility, scalability and ease. With Cupcake CMS, users can manage their blog, node or page without knowing HTML or PHP, which enhance their use among non-technical users. This open-source CMS framework oblige users to create content management systems and web applications based on semantic rules. BEdita CMS allows a user to create multiple sites at a single span of time with all initial features, libraries and plugins. It is also used to build e-learning systems, multimedia archives, printed materials, implement e-commerce services, and blogs. Modular open-source framework, BEdita offers back-end CMS along with multi-tier architecture, MVC approach and semantic relations. Ramavtar Sharma has viable knowledge of web design, web development and SEO. Currently, He is working as web developer in Dev Technosys, a leading CakePHP Development Company. He also shares his experience on the web.